Torque Solution continues to push the limits of high performance aftermarket products with our 4ply Silicone Reinfirced Intake Hose. The factory intake hose is corrugated and causes air turbulence upon entering the turbo inlet. 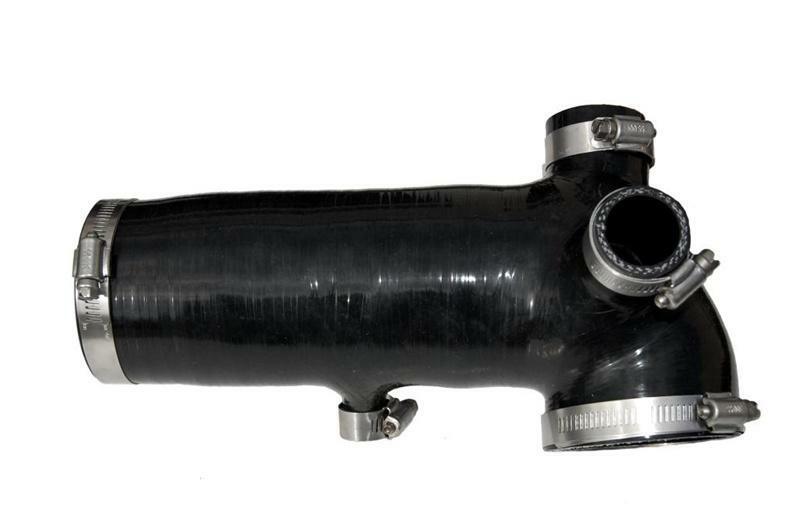 Our silicone hose smooths the air entering the throttle body which allows you to make more power. Made from Lifetime Warranty Reinforced 4ply silicone chosen specifically by Torque Solution engineers for this application you can be sure it will perform! !